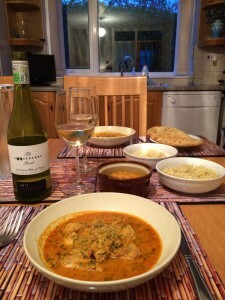 We have a few Chicken Tikka Masala recipes we intend to try. 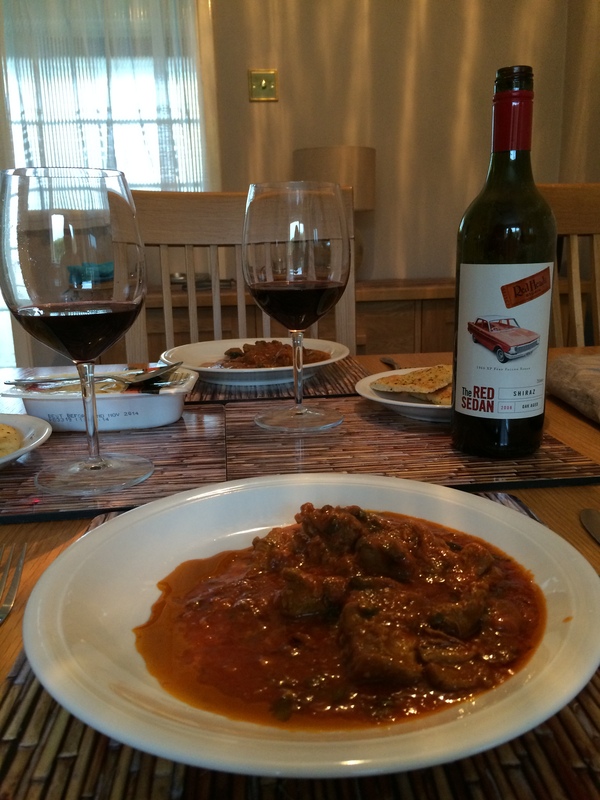 This one is called Silken Chicken Tikka Masala from Madhur Jaffrey’s Curry Bible. 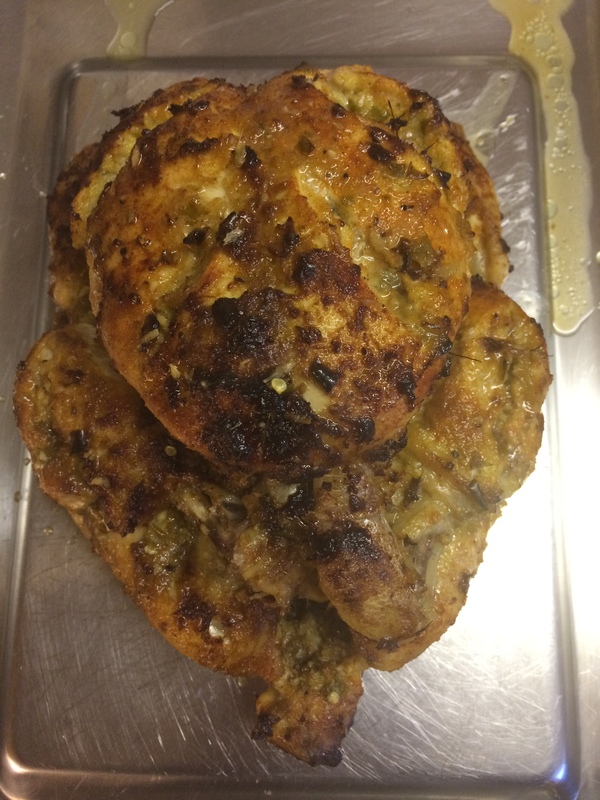 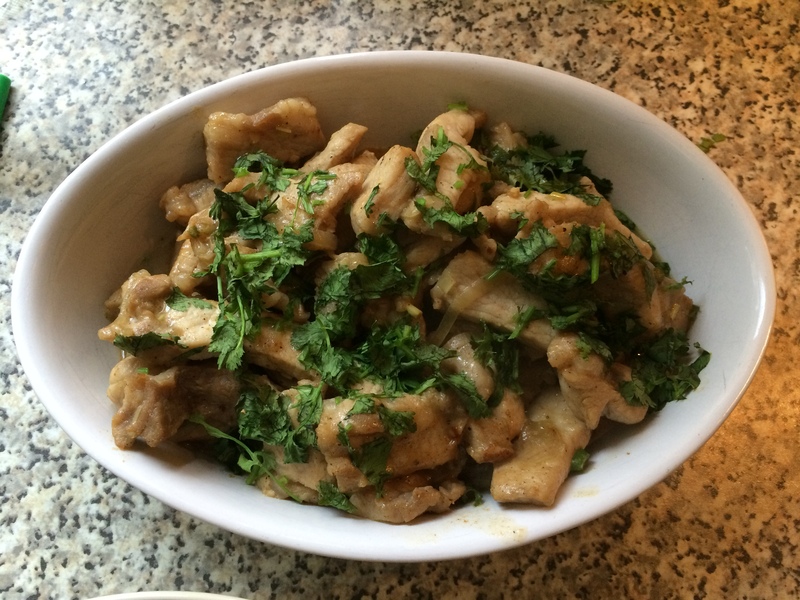 We marinated the chicken overnight in ginger, garlic, cumin, paprika, cayenne pepper, cream and freshly ground garam masala. The chicken was then grilled and cooked in a sauce containing ginger, garlic, coriander, turmeric, cayenne pepper, paprika, yoghurt, tomatoes and garam masala. We served the curry with flat breads, rice and tarka dhal. To drink with the meal we opened a bottle of The Gooseberry Bush Colombard/Sauvignon Blanc 2013, a South African white from the Sunday Times Wine Club. 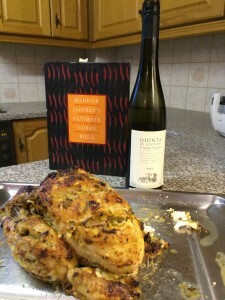 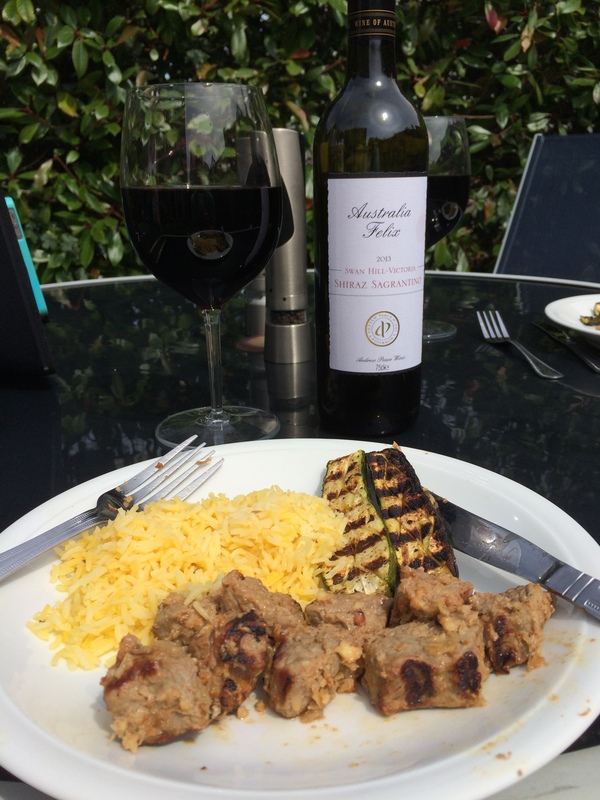 See here for a previous food pairing for this wine. 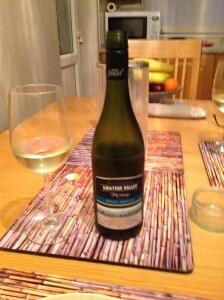 We tasted smooth tropical fruits and a dry gooseberry finish. 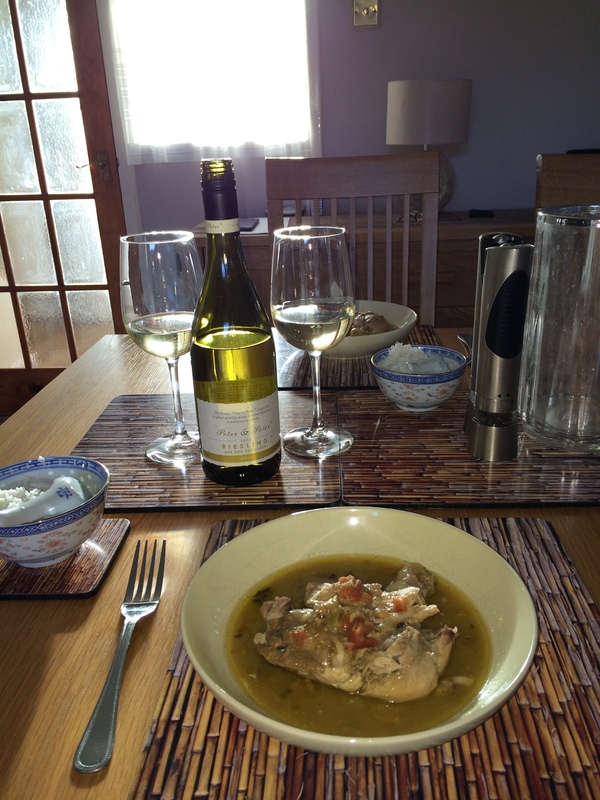 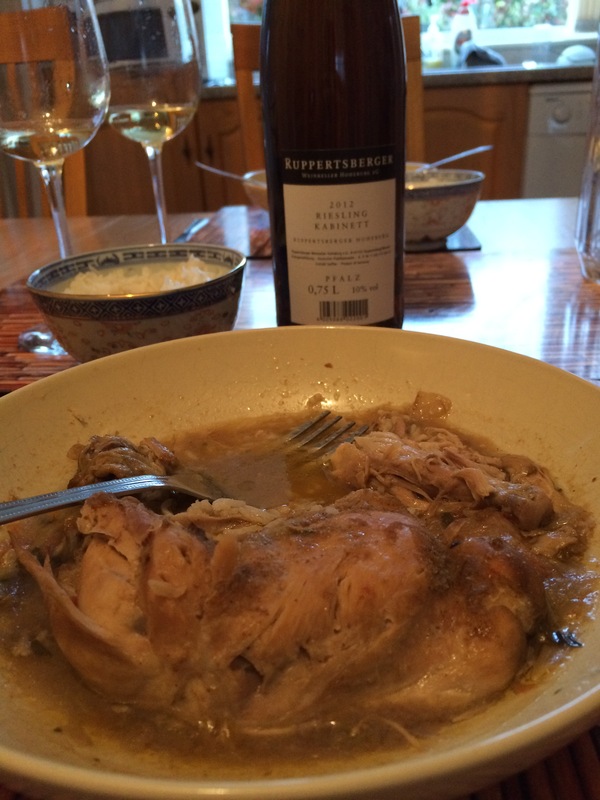 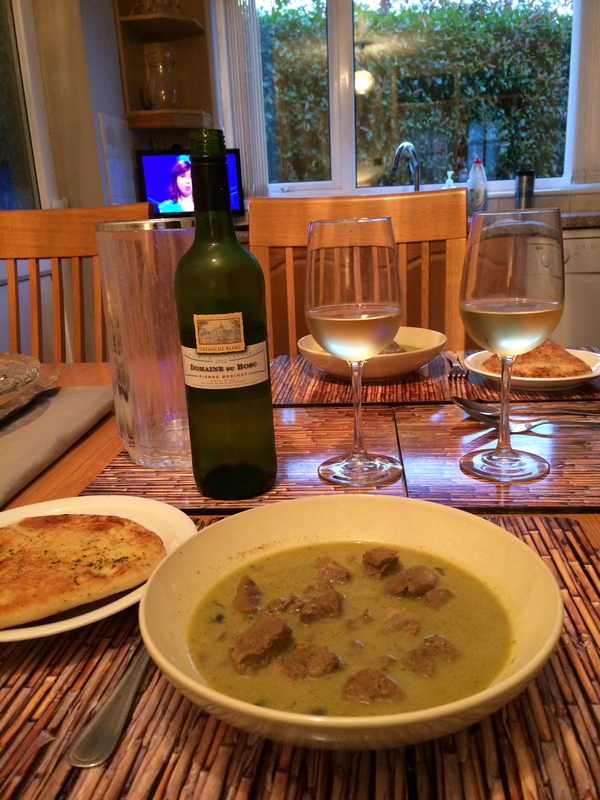 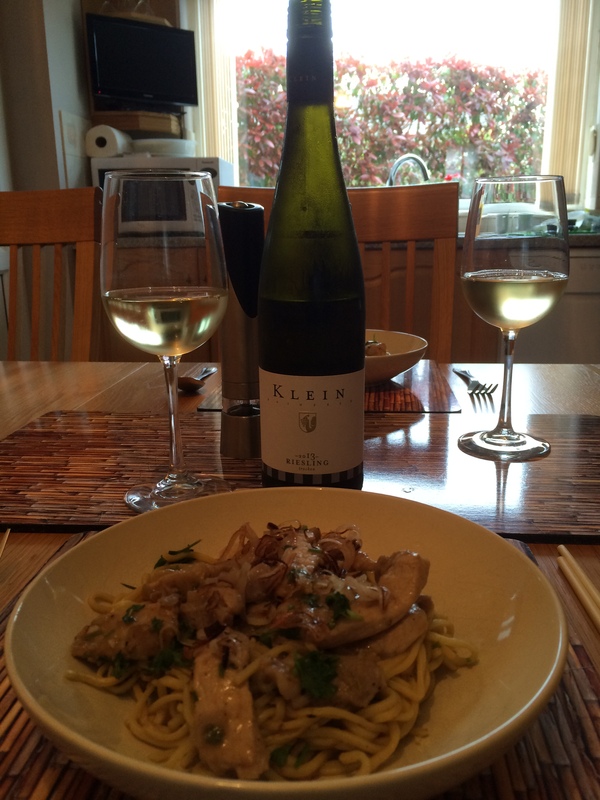 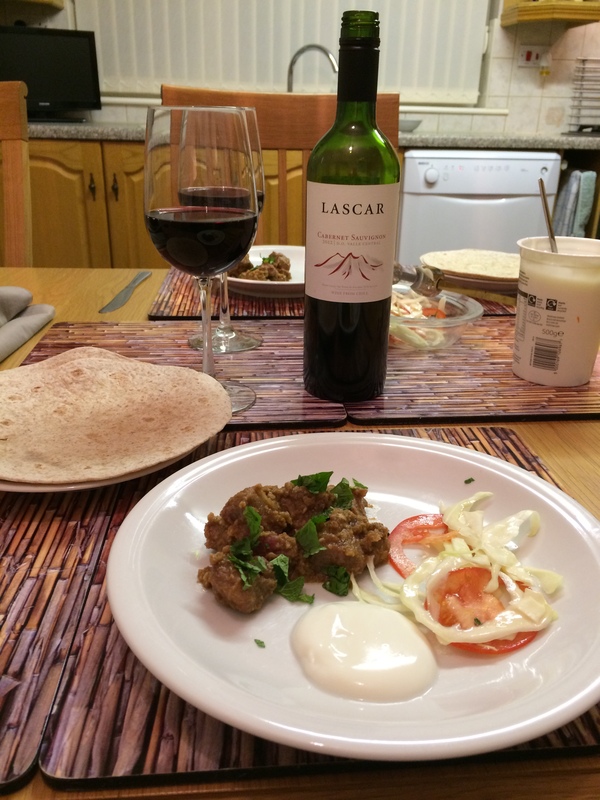 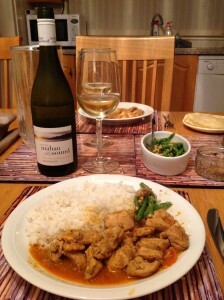 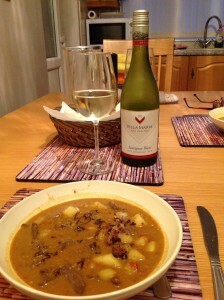 We find Colombard Sauvignon blends often goes well with curries and this wine was a very good match with the meal.